Do you need heating and air conditioning services in Anna, OH? Then you have come to the right place! Since 1945, homeowners throughout Troy and the 45302 zip code have come to trust Lochard Plumbing, Heating and Cooling with all their plumbing, heating and cooling services. Whether your home is equipped with an electric furnace, gas furnace, HVAC or central air, the experts from Lochard Plumbing, Heating and Cooling are able to provide expert service to get your furnace or central air system back in operation quickly. Call Lochard today at 937-492-8811. Lochard is your local Anna plumbing, heating and cooling contractor trusted by your neighbors for over seven decades. 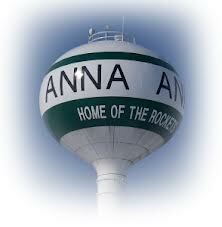 Do not let the summer heat get you down in your Anna home! If you need a new air conditioning system or repair, Lochard Plumbing, Heating and Cooling is here to help. We can provide all of the residential air conditioner services you may need; from air conditioner repair and air conditioner replacement to air conditioner recharging and air conditioner maintenance! We also provide 24/7 emergency service and work on brands of home cooling equipment. Your home comfort system may be the biggest energy appliance you own. You can lower your monthly energy bills and enjoy superb home comfort all year long with a new Bryant high efficiency heating and cooling system from Lochard. We offer a wide range of systems that are designed to fit any budget. Investing in an energy efficient heating and cooling system is a great way to save money on your monthly utility bills! For all installations, Lochard specializes in the latest technologies, including WiFi control of your heating and cooling systems. For new home construction or major renovations, Lochard Plumbing, Heating and Cooling can work with your architect or builder to install the best heating and cooling equipment for your home, and offer even more options such as geothermal systems, floor-installed radiant heating or multi Split Systems. At Lochard Plumbing, Heating and Cooling, we provide all your furnace service needs, from furnace installations and replacements to fast repairs for your Anna home. To ensure your gas furnace is ready for the winter season, call on our knowledgeable and certified technicians which can assist you with all your furnace maintenance services. We also provide 24/7 emergency service and work on brands of home heating equipment. Lochard Heating & Cooling Services for homes and businesses in Anna. Whether you are looking for a gas furnace repair or service, quality installation of a Bryant furnace, heat pump air conditioner, better air quality in your Anna home or just a check up, you can be guaranteed that we as an Official Bryant Dealer will do it right the first time.